The M18 Fuel saw features a lightweight housing and gearing system that delivers a 2¼-inch cut capacity at 3,900 rpm, as well as the capacity to cut through a range of small-diameter metal. 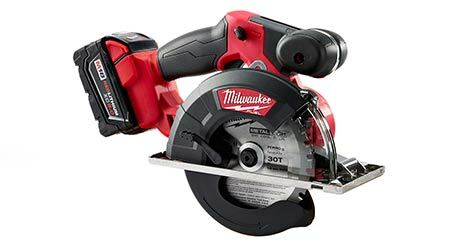 Increased battery run time enables the saw to make up to 40 percent more cuts on one charge. The 61⁄2-pound saw features a 20mm arbor size and 53⁄8- to 57⁄8- inch blade size, and it is engineered to prevent overloading, overheating, and over-discharging.